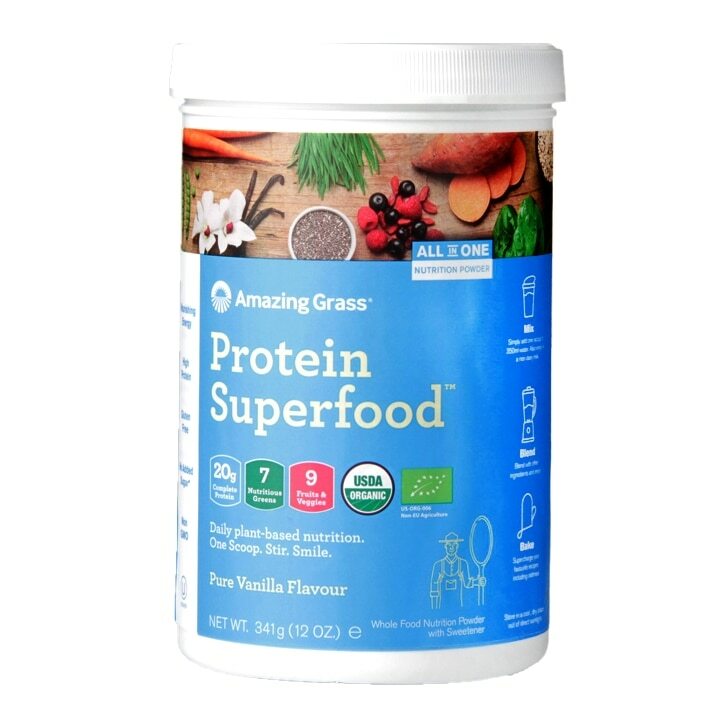 Amazing Grass Protein Superfood Pure Vanilla is rated 3.5 out of 5 by 10. Rated 1 out of 5 by KL1987 from Just awful This was half price when I bought it and now I understand why. When you open the tub it smells like fish food or a pet shop. The taste is just awful. Zero vanilla flavour.